Statements such as these are generators of energy at a very high level. They act like a magnet, so that whatever you follow “I am…” with is attracted to you exponentially. Every statement you make, “I am fine.” “I am wonderful.” “I may have stuff around me, but it’s not mine.” “Even though I am in the midst of all stuff, I am fine.” If you can begin to create a distinction between the problem and you, you will find that things can go on around you and you don’t have to identify with them, or take them on and become them. Now, let’s play a game. Close your eyes, be in the center of your head, and remember a time in your past when you had a Happy experience. (If “happy” is too difficult to grab, please try an easier word - perhaps Satisfied or Content.) Take a moment and put yourself right in that Happy moment. See the flower, or the child laughing… hear the joke that somebody made… accept the compliment that someone gave you. Allow yourself to be fully in that experience. Be that word, Happy. Take your time. Get happiness all over you. Roll around in it. Really feeeel it and hear it and taste it. As you allow yourself to be it, notice how much bigger the smile on your face gets. Laughing is acceptable here. Feeeel the happiness. Go back to that experience and feel the feeling all over again. Where does that feeling live in your body? What color is it? Does it have a shape? Just make it up. Pretend to be Happy (or Satisfied or Content). Feeeel it in your body. And breathe. Now let the thought and memory of the original experience fade from your awareness and still feel the feeling. Notice that the happiness you are feeling right now is a present-time feeling. It’s not a past-time feeling. Isn’t that curious? You had your attention on a past experience, and yet the feeling you are feeling is right NOW. So what does this tell you? It tells you that “Happy” is always here and available. You can be Happy (or any other feeling) without the past experience. Happy is a present-time, right now accessible experience to you at any moment under any circumstance. Happy is always here for you. Now let’s play with another word. I’d like you to shift your attention and find the feeling of being Certain. Notice how Certain is a different kind of feeling than Happy. In simple terms, you know how to turn the key in your ignition of your car, right? Can you make your car turn on? Are you certain? Do you know it in that, “I-mean-every-time-I-put-the-key-in-and-turn-it-I-know-what-it-is-supposed-to-do” kind of Certain? Good. I am certain. Now simply feel the feeling of Certain. Take your time and really recognize this energy. Smear it all over you. You may find that the body needs to move a bit, so if you feel the need to sit up in your chair, straighten your shoulders, raise your head, or extend your chest a little, do so. Then take a breath, and would you right now feel Certain? Where does Certain live in your body? What color is it? Does it have a shape? Just make it up. Pretend to be Certain. Feeeel it in your body. Recognize it. Own the feeling of being Certain and know that nobody can take this away from you now because it is always there; it’s just that sometimes you shift your attention to another vibration. So, as you are being Certain, would you now, without any movement, also be Happy? Simply find your seat right in the middle of the vibration called Happy. And would you again find your smile? Go ahead, give yourself permission. Nobody can take this away from you and nobody has ever taken it away from you. All we have done is allow others to overshadow who we really are. Now would you simply be Happy, be Certain, and would you notice that there is nothing to apologize for, nothing is broken, nothing needs to be fixed, and there is no challenge? There is no abuse or punishment or threat, I am Certain and I am Happy. Now as you start to play with and really "get” Happy and Certain, which are just two of many vibrations, there is an opportunity to accelerate your path. These words are the vibrations that you are. These words are the vibrations that you have turned away from in order to play the game of the third dimension. Finding and BEING the vibrations of Certain and Happy (try Appreciation and Gratitude too) is the beginning of your ascension. 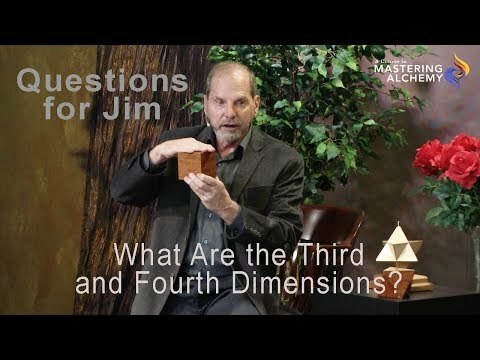 You are creating a platform that will allow you to observe the third dimension as it simply dissolves and reshapes itself into the fifth dimension. These are just two of the Living Words and they are a good start to creating a platform to manage your life from. The other Living Words include Powerful (as in Capable), Commanding, Present, Senior (as in owning your Self) and Gracious. These seven words are not random. They have been specifically chosen by the Archangels and other Teachers of Light to assist us in the Shift. They are packed with energy. As you begin to play with these words, you will find yourself able to hold your attention firm and observe all that is going on around you without being distracted and pulled away from your center. Once you begin to play with the Living Words that feel wonderful no matter what is going on in your life, every experience that you have will be quite different than your previous experiences. Instead of being knocked out of your space by things that are outside of you, you can simply choose to let all insults or distractions or noise pass you by. All you have to do is find the word that would most graciously uplift the situation that you are encountering. “What platform of words do I want to step into this meeting with?” “What clothing of vibrations do I want to present myself in?” “What single word would I like to replace this ugly feeling with?” Begin simply. Don’t choose words such as Love or Peace. Those are too far away from where you might be vibrating right now. They might be difficult to reach and hold on to. The key is to make this real and graspable. Creating your own set of Living Words and learning to feel them rather than think them, is one of the most important things you can possibly do during this transition. 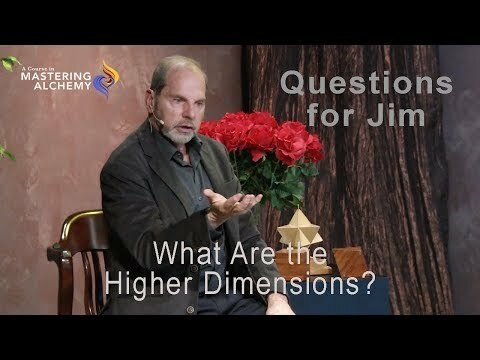 This is not complicated; it’s simply a reconfiguration from the third dimensional way of life to a higher, clearer way of being. It can become a conscious moment-to-moment choice. A way of life that is Happy, Present, Certain, Senior, Powerful, Commanding and Gracious. Your life. Many thanks for this message!